M4V Converter Plus for Windows is among top iTunes M4V to MP4 converter The latest version of M4V Converter Plus for Windows Fix the error that some users can’t keep the registration info because of the access permission. It also Fix the error that it can’t run iTunes for the wrong load path. M4V Converter Plus is an all-in-one software for removing DRM protection from iTunes movies, TV shows, music videos and convert them to all the significant video formats. 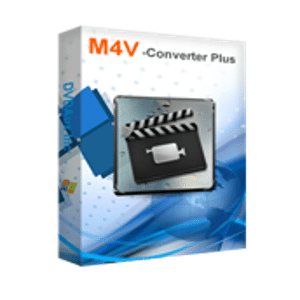 It is one of the best M4V Converter for users in 2015. M4V Converter Plus for Windows can convert protected iTunes videos to almost popular formats, including MP4, MOV, AVI, MPEG2, VOB, WMV, and FLV, singly or in batches, and it can also support convert iTunes Extras, classic movies, popular TV episodes and music videos to the web video so that you can upload the converted videos to Facebook, YouTube, Daily Motion, Flickr and so on. I have tried M4V Converter Plus for Windows, and I appreciated the program’s conversion speed and quality. It can finish the conversion work at 30X faster speed by adopting an advanced DRM decrypting technology. In other words, it will take you 5 minutes or so to convert a 2-hour movie. M4V Converter Plus for Windows provides features to customize your iTunes videos like clipping or splitting a large file to a smaller one. And you can remove the part like prelude or trailer you don’t want to convert. With it, you can also rename the videos and set audio / video parameters if you want. More to that, you can free try M4V Converter Plus before you buy a full one. And you will be privileged to enjoy all following upgrades for free once you buy it. This program is extremely easy to use. With a simple and clean user interface, you can use this app with ease. M4V Converter Plus for Windows is attractive choice for the multimedia users who really want to convert iTunes videos to a common files to transfer non-apple they can play anywhere.